Update October 2017: We added some prominent Australian small business lenders that you may found helpful. Can Immigrants Open a Business Easily in Australia? Immigrants can absolutely open businesses in Australia; however, it is important to understand that there are certain visa regulations that govern what foreign citizens can do in terms of opening a business in Australia. Typically, it is best to have one Australian Director of the company that is a resident in Australia. The company must also have a physical address in Australia and not merely use a postal box for the registration. Another possible route depends on the amount of capital that the business owner has available through venture capital or established business history. Depending on the amount of capital and prior business history has abroad, these visas will be slightly simpler or more difficult. For example, the Business Talent 132 Subclass Visa is going to require a demonstration of substantial capital or venture capital interests that normally are in excess of $1 million Australian for venture capital and substantial established history as deemed appropriate by the particular state of Australia. Another possible path is obtaining a permanent visa in Australia and then starting a business from nothing in Australia. Both paths are challenging, yet rewarding in the long term. How Does the Process of Opening a Business in Australia Compare to Other Countries? Australia is surely more organised than many countries in the world. In fact, the process to open a business in Australia is quite similar to one will find in the United Kingdom and the United States, which is no surprise given the proximity of legal histories and cultures that these three countries possess. That said, Australia is quite simple because the information is regularly apparent in terms of opening businesses in comparison to Mainland China and Venezuela where the paperwork and bureaucracy can be quite daunting for foreigners and citizens to undertake. Another aspect that the Australian government does quite well is that they make their information readily transparent on their website. For example, foreigners and citizens that are interested in opening businesses in Australia have the opportunity to look at the process and requirements here. The most important step to opening a business in Australia is selecting the type of entity and then getting an Australian Business Number (ABN) to permit the opening of business bank accounts and applications for import/export licenses that correspond to your business. Once those two items are taken care of, it becomes a matter of filling out the right forms and paying the appropriate fees. This is why opening a business in Australia is quite simplified in comparison to other parts of the world. Assess the Entity Type: There are four main structures to businesses in Australia. The first is a sole trader, which is an individual operating as the only individual that retains the legal responsibility of running the business. The second is the company, which is a legal entity that essentially becomes its own legal person and its entirely separate from its shareholders. The third is a partnership, which is an association of individuals whose intent is to run a business together, but to not own a company together. The fourth is a trust, which holds the property or income to the benefit of others. Identify the Business Type You Would Like: Choosing the entity type is one aspect; however, it is also important to consider whether you would like to open a franchise, online business, family business, home-based business, independent contractor or import/exporter. All of these have different tax implications that have to be considered in conjunction with the selection of the entity type itself. Apply for an Australian Business Number (ABN): It is important to be reviewed by the Australian government to verify that the business you are trying to apply for meetings ABN qualifications such as: genuinely running your own business, paying your own insurance, sourcing your own clients, etc. To apply for your ABN number, click here. Register a Website Name: A website is not required for registering an entity in Australia; however, it is highly recommended by the Australian government for customers to take your business venture seriously. This is why it is heavily included in the checklist for opening a business entity in Australia. Below you can find a list of prominent lenders that may be able to take business that banks are not likely to finance. Where do you need to register the business and what are the costs? The ABN number is going to be the primary registration that is required to secure the company name. The fees for registering an ABN are A$34 for one year and A$80 for three years. Bear in mind that this is just the name. Depending on the entity that you choose, there will be over governmental fees that will be due at the time of registration. Many Australian law firms recommend hiring them to help facilitate the process of the documentation and ensuring that your business registration will be successful. 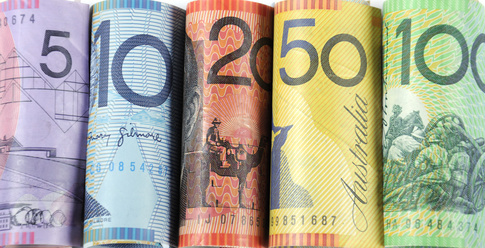 In order to register a proprietary company in Australia the fees can be upwards of A$479. That said many companies such as eCompanies specialise in company registration that is around A$529. For individuals that want less hassle, it is worth the additional investment to ensure that the registration documents are successful. This process can be entirely online, which is incredibly efficient. What kind of premises do you need? Within Australia there is not a strict premises requirement like in other countries. The reason for this is that the Australian government has taken to account the evolving needs of business owners and has designated premises possibilities to include: home business, buying or leasing premises, space incubators, market stalls, and mobile vans. Each of these different options will have different tax implications, which is important to consider in deciding which local is best for your business model. How long does this process take? Australia is truly a world leader in how little time it takes to register a company. If the application is not flagged by ASIC, then the entire process of company registration will take between ten to twenty minutes in total. Can you start this process before relocating to Australia in your home country? Since Australia’s government is quite digitally friendly and supports the development of entrepreneurship within Australia, it is absolutely possible to start the process from your home country of registration. That said, if you are going to have an Australian Director, then this process will be easier than if you do not. Bear this in mind when deciding to start the process from abroad. Australia is truly a fantastic locale to invest one’s company. What is important to remember is that there usually has to be some form of Australian resident and permanent Australian address involved in order to have a business entity registered for those that do not meet the established business or venture capital thresholds. In terms of registration, Australia truly has one of the most streamlined corporate registration processes in the world. The key is to figure out which entity is appropriate for your budding business venture and which tax implications go along with it. Once you make these decisions, you will be able to make a sound decision about which entity to register in Australia and begin the path to being a successful business owner within Australia.